This year I bought a cheap audio baby monitor so I could ease drop on the ewes during the night. Overall, I’d say it was worth the $14.99. There are a few drawbacks. Placing the receiver next to the bed surrounds you with the sounds of chewing and burping all night. 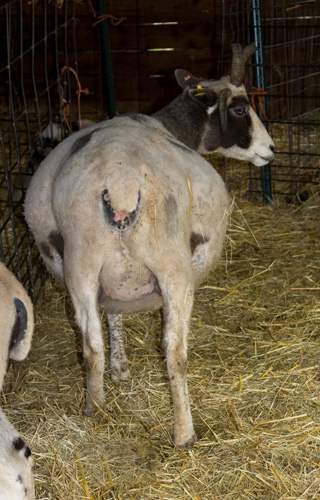 Vesta scratches between her horns on the ends of the livestock panel lambing jugs. Melodie has a serious dislike for one particular 2 x 4 in the barn. The barn is not a peaceful place! Moving the receiver to the next room worked well to filter out the noises I didn’t need to hear. 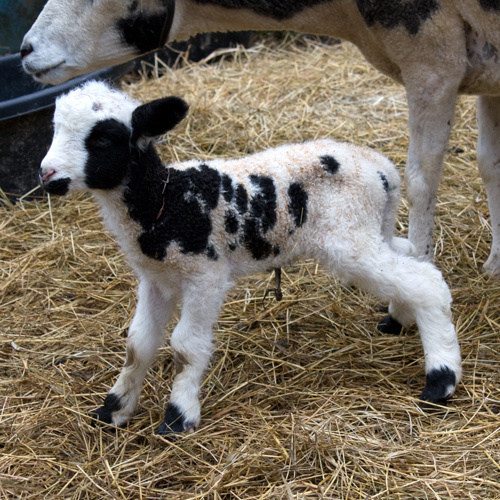 When I saw Gallivant Tuesday morning with his mother, Lacey, my first thought was she’d stolen someone else’s lamb. He’s a big boy! Sired by Boyd, Gallivant gets his bright blue eyes from both parents. Despite my thoughts that Sasha just couldn’t go another day, she went two more days before delivering the “Flash and Dash Twins” sired by Boyd. 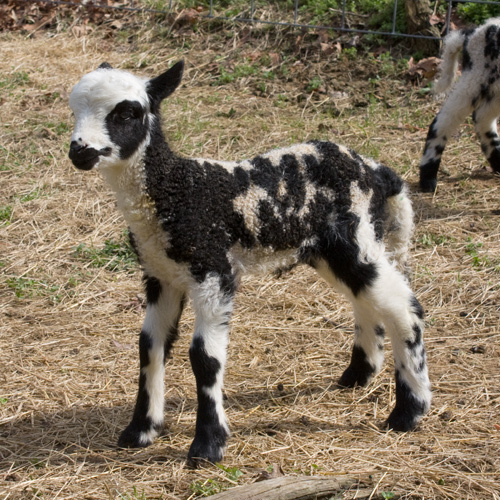 Patchwork Dashiell – four horned ram – is all legs! 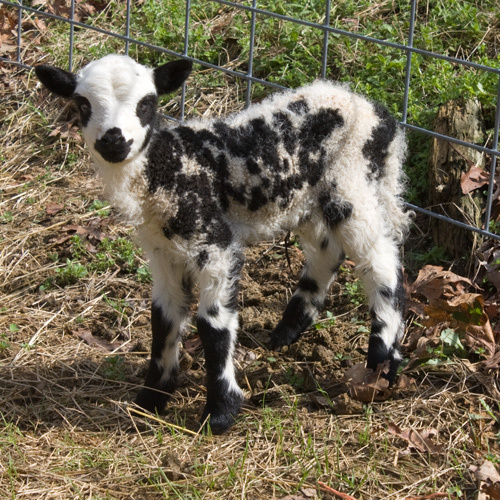 Patchwork Dazzle – 4 horned ewe. 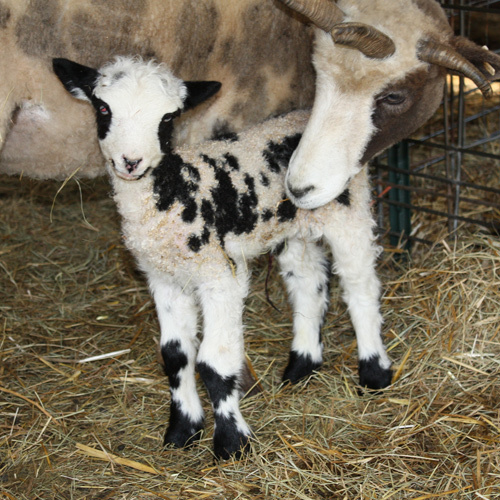 Kayleigh continues to grow in anticipation of April lambs. I do think Kayleigh is glaring at you for taking/posting that photo 😉 Love all of the babies, but Gallivant really grabs me…very handsome!